WHAT In this special, not-to-be-missed live event presented by Indie Untangled, knitwear designer Andrea Mowry will chat about her creative process with NYC-based knitting influencer Kristy Glass. Join us afterwards for a meet and greet with Andrea and Kristy and to purchase exclusive yarn, tote bags and other products from Indie Untangled. Tickets are $25 and will go on sale here at 9 a.m. Friday, January 25 via Murmrr. Brooklyn General, 128 Union St. in Brooklyn, will be hosting a trunk show with House of a La Mode and a pop-up shop with Katrinkles. The list of fringe events will be updated when more information is available. Fancy Tiger Crafts has always been on my "must visit" craft shop bucket list!! I am SO EXCITED to be there this fall to teach ALL THE BRIOCHE!!! I hope to see you there!! Head here to sign up!! I can't wait for my first trip to Vancouver and the Knit City fiber festival!! I'll be teaching my favorite classes - including Color Confidence, Brioche (Beginner & Advanced) and a new Mosaic class based on my Shift Cowl!! I hope to see you there! Registration for classes opens June 15 at 7 pm PST! Squam is such a magical place and I am thrilled to be returning this fall to teach my Briochealicious class! Wahoo! I'm headed back to Do Ewe Knit this summer!! Come hang out Friday night with wine & cheese and my trunk show! Get Confident with your color on Saturday! Jump into Brioche on Sunday!! I still can't believe I'll be heading to Australia for the Soul Craft Festival this June to teach my favorite knitting class (brioche!) and talk all about the huge impact knitting and crafting has had on my life - from supporting my family, to working my way through anxiety and life's greater challenges. I do hope I'll get to see and connect with you there! Eeee! I am super excited to be heading to the gorgeous Black Mountain Yarn shop over Memorial Day!! I hope you will join me during the holiday weekend for so much fun! Workshops, trunk shows and one of my fave yarn ladies - Dami of Magpie Fibers will be there, too!! Head here for more information! Tincture Class & BT Trunk Show at Spun in Ann Arbor! I am thrilled to be headed back to Spun in Ann Arbor, MI! You can find all the details and sign up for my Tincture class HERE! After the class I'll be there with some of my favorite trunk show pieces knit up in my favorite yarn - Brooklyn Tweed! I'll be signing pictures, chatting and taking photos - so if you are in the Mitten, make sure to come by! I feel so honored to be teaching at this super fun festival with some truly amazing people! Head here to check out the lineup and snag your spot! I love A Verb for Keeping Warm and their amazing mission and stunning yarns - so you can imagine how excited I am to be making my way to their brick and mortar shop this year to teach!! I'll be sharing my Brioche and Color love and we will end the weekend with a super fun meet and greet! I hope I get to see you there!! I hope you can join me for a Beginner Brioche, Color Confidence, or Advanced Brioche class! We will also be mingling with my trunk show on Sunday!! Words cannot express the excitement! I have been wanting to go to EYF for the past couple years and am thrilled that I get to go this year!!! I will be hanging out at La Bien Aimée's booth everyday from 2-4 pm, and I will have a number of new patterns being released this weekend! I am so excited to be heading to Minnesota for the first time ever! I'll be teaching at Amazing Threads in Maple Grove! We will have a meet and greet Friday evening followed by workshops on Saturday and Sunday. Hope to see you there! The First Ever Loops Retreat!! I am thrilled to be teaching alongside Romi Hill and Carson Demers at the first ever Loops Retreat! I will be teaching Color Confidence and Brioche and I just can't wait! Head Here for all the details! The biggest knitting event of the year! I'll be teaching everything from Mosaic Knitting to Brioche, Shawl Design and Color Confidence! Join me for an amazing weekend full of knitting fun at Starlight Knitting Society in Portland, Oregon! We will kick things off Friday night with a fun Meet & Greet trunk show, followed by a weekend full of workshops including Brioche, Color Confidence and a special Vintage Prim hat class!! I hope to see you there! Head here to register now for VKL in Seattle! 2 of my classes are already sold out, but there are a few spots left in the others!!! Tolt Yarn & Wool 4th Anniversary Party! 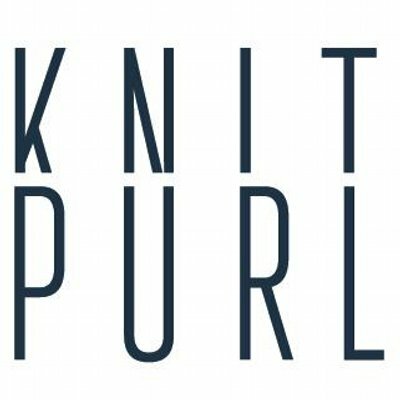 I am thrilled to joining Knit Purl in Portland, Oregon for a weekend full of fun! Friday night kicks off with a Meet & Greet Trunk Show, followed by Color Confidence, Brioche and Ramble Shawl workshops that weekend!! Do Ewe Knit // Trunk Show & Workshops!! I am so thrilled to be heading to Do Ewe Knit!! Come play with color and get your brioche on! I'll be hanging out Friday night for a Trunk show, and would love to meet you! Saturday and Sunday I'll be teaching some super fun workshops!! I can't wait to return to Austin!! Join me for a super fun trunk show meet and greet on Friday night, followed by a weekend full of workshops!!! Blazing Needles // Trunk Show and Workshops! I'm headed to Salt Lake City, Utah to hang out at the super awesome Blazing Needles!! Join me for a trunk show and meet and greet on Friday from 4-6, and some super fun workshops through out the weekend!! I am so thrilled to be teaching at the Squam Spring Retreat! I will be teaching an introductory brioche course so you can learn the necessary skills to knit my Briochealicious Shawl! Shawls are the perfect finish to any outfit all year round! In this class, we will learn the techniques to make a show stopper – the Briochealicious shawl! Crescent shaping gives this shawl a very generous wingspan for a multitude of styling options. Three color-block stripes of bouncy brioche gives you the chance to adapt it to your style, while squishy garter gives plenty of time to relax! We will delve into the addicting world of two-color brioche, a beautiful reversible fabric, that makes this shawl truly unique. The shawl is finished with a super stretchy bind off, which is a great bind off to learn for any project! We will end it all by discussing how to block our shawl for the perfect shape and drape! In this class we will begin playing around with what makes brioche so special. When working brioche in two colors, a whole new world of color play is opened up to you! Discover how to blend colors and add depth thru contrast. We will also discuss using different fibers and weights together to really mix things up. We will learn how to increase and decrease in brioche, and how it goes far beyond just shaping your fabric, to create the appearance of intricate cables and lace. I'll be bringing lots of beautiful brioche pieces to look at and try on! Please note that this class is for knitters already comfortable with brioche knit and brioche purl stitches. For information on how to sign up, click here! This workshop will focus on the skills needed to make the beautifully textured Winter Honey Shawl. This triangle shaped shawl is a delight to knit, utilizing the bouncy honeycomb cable in two different sizes, and even better to wear! In class we will learn how to perform the garter tab cast on, discuss shawl shaping, practice working a cable with and without a cable needle, and try out Andrea's favorite shawl bind off! This class is best suited for intermediate knitters. Students who are comfortable with casting on and off, knitting, purling and increasing should do just fine! "Join us to welcome knit designer extraordinaire Andrea Mowry in our shop for a happy hour to celebrate her Trunk Show at Spun. As almost anyone reading this already knows, Andrea has been winning raves for her design work for a number of years, and she is bringing over 20 of her best-loved sweaters, shawls, and hats to our shop for a week-long display. Take the chance to meet this celebrated designer at our happy hour, and enjoy drinks, treats, and a door prize drawing. Get inspired by her designs, and get ready to knit one (or more!) for yourself. And, stay tuned for news about upcoming classes that Andrea is teaching in the shop." I can't wait for this fun happy hour event!! I hope if you are in Michigan you will be able to join! Wool & Honey Trunk Show, Brioche Workshop and Holiday Party! What: Trunk Show, Brioche Workshop & Holiday Party! Time: The workshop will be from 10 - 2, followed by a festive celebration that evening from 5-7! Details: The workshop will focus on taking our brioche skills beyond the basics. We will play with two color brioche, increasing and decreasing! The lottery to get your spot in the class will be on Tuesday, November 22 from 9 - 1! Space is limited. Trunk Show: I will be bringing along my complete trunk show, so you can see everything in person!